We've been watching the phone's price drop every few months, and since it's now a year old, the deals are increasingly compelling. 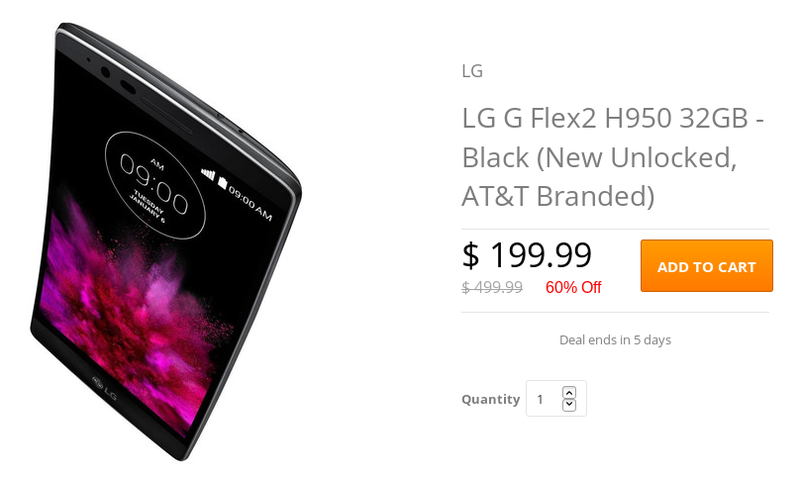 Right now you can get the G Flex 2 from Daily Steals for $199.99. This is $50 less than the price we saw the phone hit eBay for back in September. You're looking at unlocked versions of the AT&T model, complete with 32GB of storage. These are new units, so they've never felt the touch of a previous owner. The phone comes pre-loaded with AT&T apps, but you can take it over to T-Mobile if you wish. Just know that doing so means you won't get future updates. The deal will run for another five days.